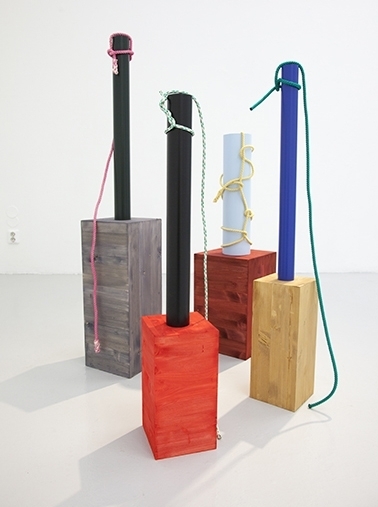 Magnhild Øen Nordahl, Occupational Knots, 2014. 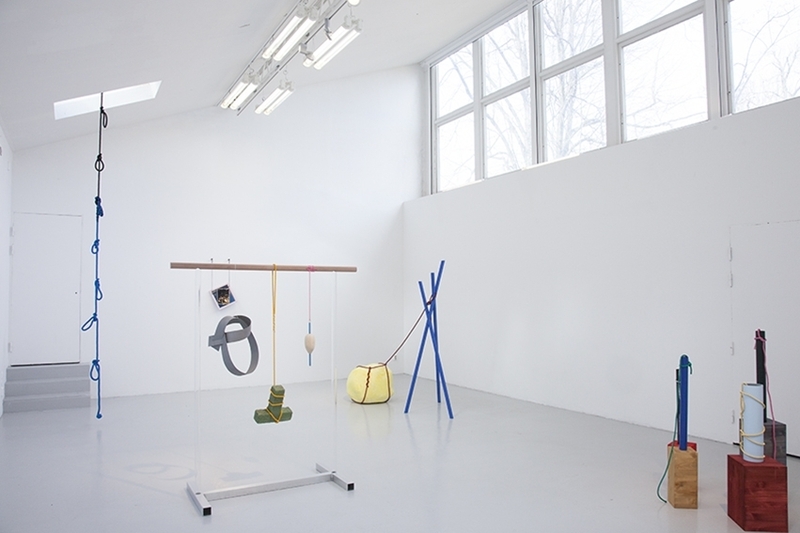 Installation view from Galleri Mejan. Photo: Jean-Baptiste Béranger. Norwegian artist Magnhild Øen Nordahl's work will constitute one of the four solo exhibitions opening simultaneously this week at Kunsthall Stavanger. Titled x4 and opening this Thursday, the exhibition features a solo project by one artist in each of its front four galleries. Below, Nordahl elaborates on her early interest in sculpture and the concepts undergirding her most recent project Occupational Knots. I understand you’re originally from Norway, and recently completed your Masters studies at Kungliga Konsthögskolan in Stockholm, Sweden. Can you tell us a little bit about your background and how you were first introduced to making artwork? As most kids do I enjoyed making things, whether it was drawings or paintings, building tree huts in the forest or dams in the creeks. Growing up in rural Norway I wasn't exposed to much professional art production, and when I went to preparatory art school it was with the hopes to acquire some creative skills needed to become an architect. It was here that I discovered that making art was fun and challenging in new ways and so I continued to pursue it. You work often combines conceptual inquiry, scientific theory and methods, and a hands-on material practice – specifically sculpture. What is the attraction to sculpture and how do you think this best embodies the intellectual ideas that are often at play in your work? I simply think that working with sculpture is a lot of fun. There are so many new things to learn, and being physically active makes me think in a different way. The physical world – the space I am in, the tools I use, my crafting skills and the materials – become decisive parameters in the work. However, I never felt like a material and spatial exploration was enough in itself, I've always had other interests that merges with these concerns. For instance I was working with load bearing structures as a motif for a long time, and I was looking into the connection between technological development, the shape of the structures and the work of the builders/designers involved in the making of these. This conceptual enquiry came about through my own work with the sculptures which consisted of cutting wood in many different angles and learning to use a drop saw in a precise way. The meaning of my own practical work is something I have been interrogating; Does it even matter if I make things myself, or could I have arrived at the same point through digital plans and outsourcing? What role does the body play in learning and understanding things in the world? These questions relate to more general topics of phenomenology and epistemology that I have been concerned with from the beginning of my practice, whether I was working with architecture, science or other subjects as a point of departure. 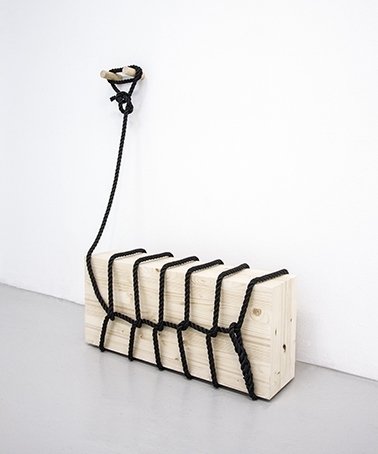 For the upcoming exhibition x4 at Kunsthall Stavanger, I understand you will be showing a selection of works from your series Occupational Knots (2014). In one respect, the works seem very straight forward in that they are based on Clifford W. Ashley’s 1944 book “The Ashley Book of Knots” which describes and illustrates in detail different useful knots for various professions. 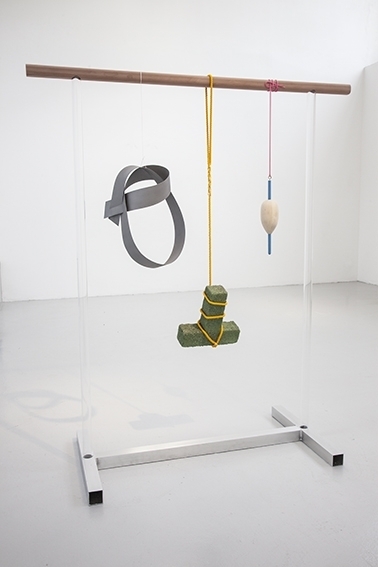 However, the works also easily lend themselves to metaphorical interpretations, as knots are often representational of anxiety and difficulty, or used as tools for theoretical analysis in physics and science (as in Knot Theory). Can you describe how you came to work with this book and your thinking behind the project? I started working with knots first for practical reasons, and then I discovered the world of knots through the wonderful Ashley Book of Knots. One of its chapters is as you say dedicated to different professional groups, and it became a reminder to me of how so many jobs had many more practical elements in them before. I'm interested in how we work and how this influences the work being done, how global economy delegates manual labor to the lower economic class and how the contemporary artist fits into this picture of material production.I was also intrigued by this book as a particular example of the encyclopaedic format. Clifford W. Ashley, who funnily enough made art to support his rope-interest, made all these different categories and qualifications of knots and systematized this knowledge in a very subjective way. I soon discovered that there was also another type of systematized knowledge about knots, Mathematical Knot Theory. This theory was created in the late 1800s as an attempt to classify all substances in the world according to a comprehensive tabulation of knots. It was soon discarded for the more well functioning periodic table, and only regained its practical relevance in the 1980s when knotting was discovered in DNA-molecules and synthetic molecules. What I find interesting about science is that it tells us things that contradict our experiences and we still believe it. When this knot tabulation was created there was no tool powerful enough to show us an image of the smallest substances in the world, the scientists were left to hypothesise. And that is actually the case also today, we don´t know what the particles in the standard model look like, and some scientists even want to discard this model all together. But even if we still can't get an image of the smallest particles, science has long since advanced past our senses when it comes to this type of observation. We are taught to find truth and reality in abstract information and to consider our senses as inaccurate. The titles of the works in the exhibition are found in a textbook on Knot Theory, and some of them demonstrate this demand on us to accept concepts that are removed from our experience of the world. "We imagine the string as having no thickness" and "The knot is infinitely far away" are in a way ridiculous statements, but make sense in the logical framework of this textbook. All explanations aside, there is a strong physical presence to the sculptures in Occupational Knots that cannot be ignored. Is it important to you that audiences understand the full implications behind these works? The strong physical presence is an important part of the work. I think it is a result of my joy in working with objects, materials and tools and a desire to share this experience with the audience. This is a work that has taken shape gradually, therefor not all formal decisions are accounted for in a literal way, and there isn´t a list of things people need to know to "get it". However I think it can be more rewarding for many if they have the option to know a bit more, so I aim to be generous with providing information. The way I have solved it in this case is to assemble a selection of the research in the fanzine Pb?Ni?He? 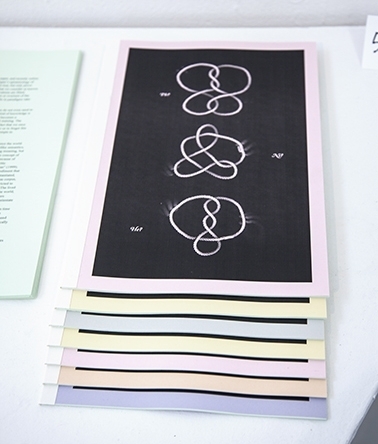 that we plan to have available at the Kunsthall´s bookshop. Is there anything that you can tell us about the specific iteration of this project at Kunsthall Stavanger? Will it differ from past presentations? The architecture of the space will definitely have a large impact on the installation. I am curious myself to see how it will work out. And finally, can you share any information about future projects and exhibitions that you are working towards? At the moment I am preparing a work that I have made in collaboration with musician Omar Johnsen for the sculpture biennial Art belongs to those who see it at Vigelandsmuseet this fall. After that I will start on new works for an upcoming solo show at Hordaland Kunstsenter next summer.